We believe that education cannot be completed without proper structuring of character. 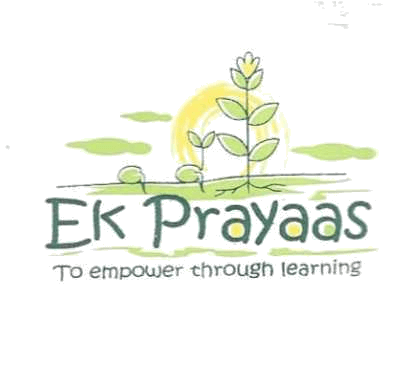 In Ek Prayaas, apart from class room training, we also pay importance on story sessions, arts and craft , moral science , general knowledge and communication skills. We believe in group work, not in single effort. We collaborate influence from nature and transfer them into adaptive learning. We organise different types of cultural as well as physical activities like yoga, singing, dancing, games, and theatre at regular intervals. We celebrate National days, birthdays of poets and leaders, and some other secular days with our own colour and effort. Apart from that, an annual programme is organised each and every year by our children where they do their own creative performances including dances and songs choreographed by adults. At Ek Prayaas, we believe that a healthy mind are essential for a child’s overall development. School commences with daily prayers followed by yoga and meditation classes which have been incorporated with the help of Satyananda Yoga Kendra. A wholesome breakfast and lunch is provided to all the children in school. The core subjects taught are English, Mathematics, Hindi, Science, History, Geography and Environmental Studies. Emphasis is also given to General Knowledge and Moral Science. Remedial classes are provided to children in need. Arts and craft, conversational skills, spoken English and story telling are conducted by volunteers and constitute a regular part of the children’s daily routine. Weekly classes are held for karate, sewing, singing, and computers. Educational and fun outings are arranged occasionally as well for the children, with the help of sponsors.